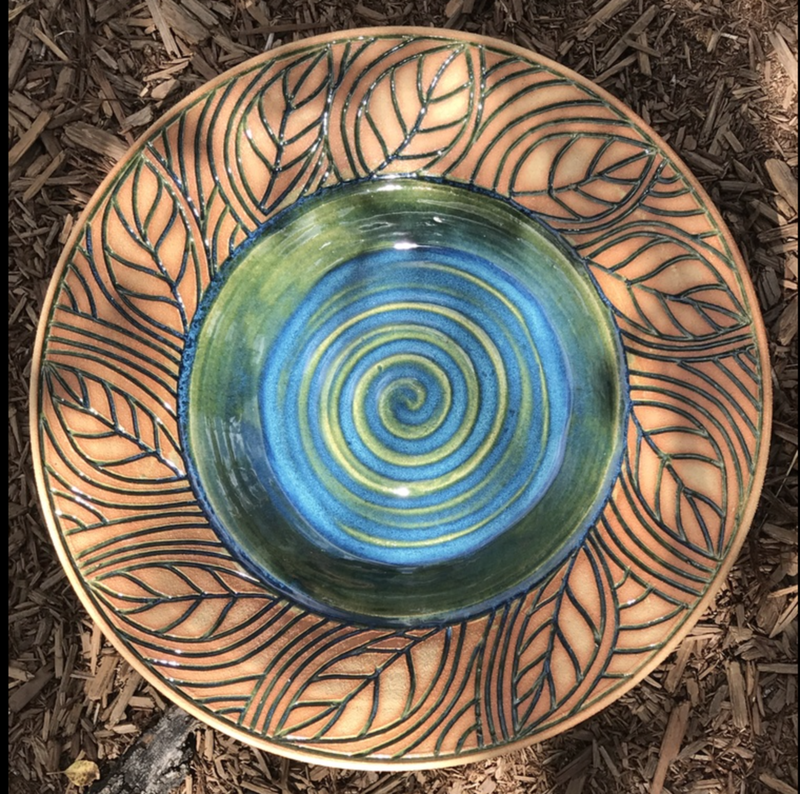 I individually wheel-throw and hand-carve each piece.I then fire and glaze each piece, and wipe away excess glaze, using a sgraffito-like technique,leaving the beautiful clay-body partially exposed. Hand built ceramic vessels, platters and sculptures. Developed a signature ash glaze that I use on all pieces; accented with commercial glazes. 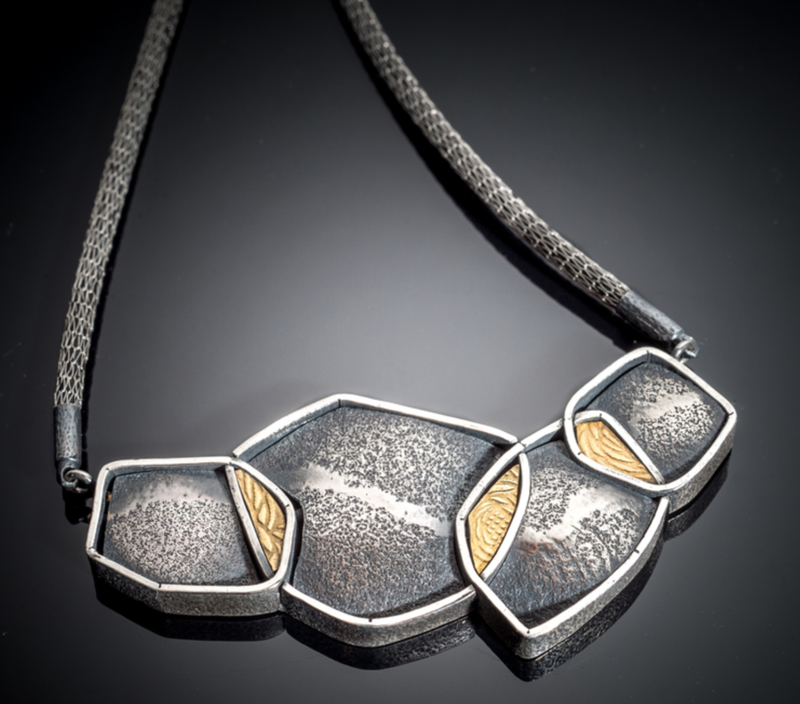 Processes include functional and alternative firing raku techniques producing "one of a kind" ceramic art. Functional ware includes both an earth palette & bright colored sgraffito mountain designs. Large Raku and stoneware vessels of my own making and glazing. I do Naked Raku, Horsehair Raku, & Stoneware firings at my studio in the Wet Mountains of Southern Colorado. Also medium and small pots. My work is hand-thrown and hand-built porcelain. Each piece is custom glazed and high-fired in a gas kiln. 2D and 3D mandalas created from manipulated photographs of butterfly wings, coated with epoxy resin. Posters are designed from my plein air (oil) and graphite/marker studies designed in the Federal Arts Project tradition, then redrawn as digital art. Output from computer are digital prints/giclees. These images were created in Adobe Illustrator to express and represent the emotion of a past place, time, or event through the interplay of patterns, shapes, lines, and colors. With spirited expression, pigment is painted on a plate, using tools of brush and brayer. Using my etching press, the image transfers to paper one time, to become an original Hand-pulled Monotype. I work in pastels on sanded archival paper. Primarily landscapes of the Rocky Mountain West. I look for design qualities such as light, color, shape, and texture that are inherent in the landscape. I hand weave my fabrics on 8-harness foot-powered floor looms with micro and plant fiber yarns. I warp the looms, weave the fabrics, wash, dry, steam press, cut, sew and hand-embellish each piece. I weave high quality yarns, including chenille and bamboo, on a floor loom, creating unique designs with bold, exciting colors. I weave ponchos, wraps, shawls and ruanas, which I call "wearable art." Stained glass windows ranging in size and shape from 14" circles to free standing pieces over 6 ft .I use organic shapes and materials(shells, fossils,agates) to amplify the narrative of the glass. I use traditional Swedish & Italian glassblowing techniques, a diversity of cold working & carving techniques, hot glass casting and acid etching to make my glass work. A stained glass mosaic technique, all hand cut, grouted in and trimmed in copper. Occasional use of sliced agate geode and other found objects. No patterns used, each piece is one of a kind. Hand blown and hot sculpted glass sculpture created freehand without the use of molds. I strive to make every piece a one of a kind so that no two are alike. I hand-fabricate my jewelry pieces using silver and gold. I use metalsmithing techniques; rolling mill for texture, sawing,soldering,and hammering to create unique one-of-a-kind work of wearable art. Gemcutting is my forte, in my colorful inlaid gemstone jewelry. The metalwork that frames each piece, is either cast from my original waxes, or fabricated from sheet and wires in gold and silver. Inspired by the romantic Art Nouveau era, I create my work by sculpting wax with dental tools in 14kt gold, sterling silver and faceted gemstones using the lost wax method. Fine quality gems & pearls set in Gold/Silver. Collaboratively designed,individually hand-made, one of a kind jewelry pieces. Fabricated, plannished, cast with various stone setting techniques. I use organic materials. Fossil Ivory; 14k gold & sterling silver to hand fabricate all metal work. No casting. I have developed tools-technique specifically for these materials for over 40 years. I make each piece by fabricating in wire & sheet metal or making a wax model & casting. All color is rock or stone in one form or another, metal is gold or silver,I have started doing hand engraving. Consciously sourced diamonds,precious and semi- stones are incorporated in fabricated designs.Keumboo,22K and 14K gold refined in the Colorado studio ('green' metal) in hand fabricated designs. I hand-weave and intricately knot 4-124 strands of uniquely soft and durable fibers into my originally designed jewelry. Adorned, are handmade beads and pieces I have collected in my world travels. My secret desire is to challenge the conventions of fine jewelry.A mobile studio gives me the freedom to engineer and create wearable sculptures.Made with my own mill-textured silver,gold and gems. Hand engraved jewelry crafted of silver, copper & bronze create original designs. Adornments of turquoise, elk ivory & horsehair complete these necklaces, pendants, earrings, bracelets & more.